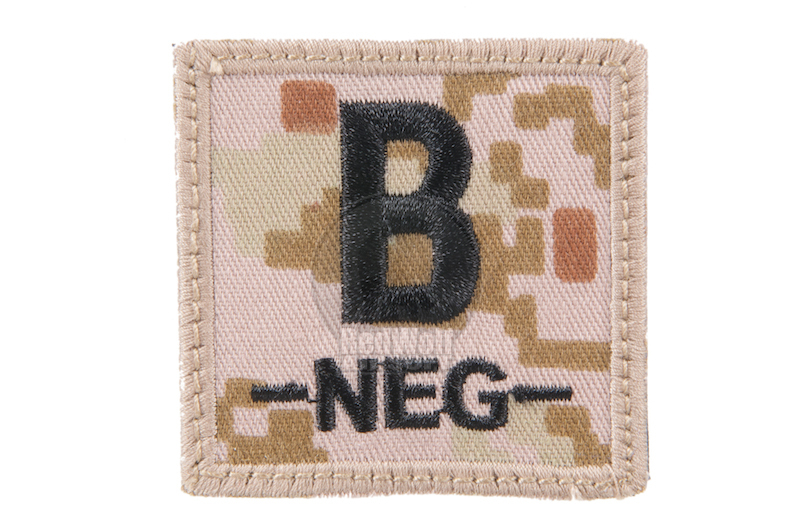 Velcro-backed 40x40mm square patches with blood types markings. Our line up includes A- and O-. They come in a digital desert colour. This is just Airsoft of course but like any outdoor sport there is always a chance of accidents. Should you decide to wear blood type patches of course we do not expect you to use them seriously but *if* you get in to an accident it is probably a good idea that you are not wearing the wrong patch. These patches are just for casual use but just to be on the safe side we do encourage you only to wear a patch with your actual blood type displayed.